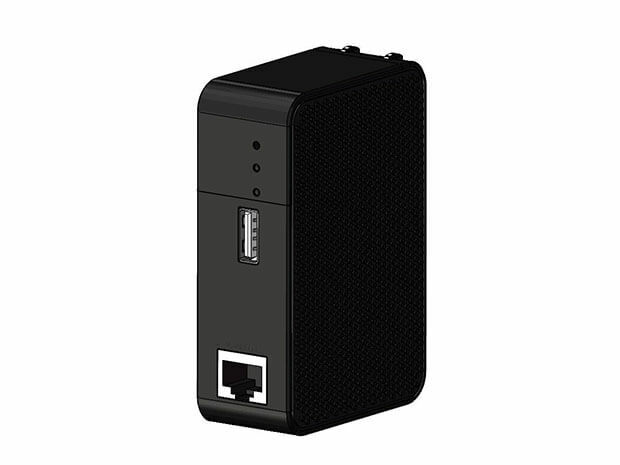 The AntRouter R1-LTC is a wireless networking device containing a litecoin/scrypt mining chip. The R1 is preconfigured to mine on AntPool’s solo mode, meaning that as long as the device is powered, you are competing for a chance to solve a block and win about the entire block reward of 25 litecoins (after deducting the 1% fee). Shipping out within 20 working days after receiving full payment. Note: If you’re located in Europe or US, the corresponding Plug Adapter is necessary to be ordered together. Keep the R1 plugged in at home for use as a standard wireless router, keeping your phones and computers connected to the internet at home or at the office. Connect your R1 to a router, hub, or any available internet access with cable, and R1 can turn cabled internet access into wireless. This is the default operation mode of R1. Using a USB cable, connect your mobile device to the R1 to charge it. Android phones, iPhones, and tablets are supported. The R1 can also be used as a controller to manage and run several AntMiner U3s. Connecting your U3 to the AntRouter R1 via a USB hub eliminates the need to keep the U3 plugged into your computer.